Landmark: Close to Prince of Wales Museum, Opposite Jehangir Art Gallery, Within walking distance from Westside Store. In the pre-Independence days of India, Sudhakar Dikshit, a young journalist working as a news editor and then as an assistant editor for daily newspapers in Patna and much involved with Indian performing arts, came to settle in Bombay (now renamed as Mumbai) carrying a treasured dream – a dream to promote and propagate India’s rich spiritual and cultural heritage. Choosing from a formidably wide spectrum, Dikshit decided to concentrate on three major areas of Indian heritage. One was Philosophy & Religion, another was Indian Arts & Crafts, and the third was Indian food focussed on vegetarianism. He got a break when in 1946 the organisers of a Culture Centre at 34 Rampart Row (now renamed as K. Dubash Marg) which is located in the very heart of South Bombay – a nerve centre of a busiest commercial complex of major newspapers, premier banks, leading business houses, five star hotels, theatres and other places frequented by the elite of the city – decided to pull the shutters down because the project had become a liability. Dikshit took over the establishment and registered it in 1946 as Chetana Ltd. The name was subsequently changed in 1972 to Chetana Pvt. Ltd., now popularly known as Chetana. Chetana started as a cultural café in an open-plan fashion in about 2500 sq.ft. of floor area carrying a 17 ft. high ceiling. One part carried a bookstore, one corner was reserved as a chess corner for practice and tournaments, a small restaurant provided snacks and coffee, and a large area was thrown open for cultural meetings, poetry reading, and discussions on Vedas and Vedanta. Even a Bharat Natyam School used the premises for conducting classes. The place quickly blossomed, attracting intellectuals, artists, book lovers, and even bureaucrats. Mulk Raj Anand, Nissim Ezekiel, Evelyn Wood, B.G. Kher, Maharj Singh, Ashok Kumar and many similar well-known people became regular visitors. As an expression of his love for arts, Sudhakar Dikshit soon opened an art gallery – first of its kind in Bombay – at Chetana and exhibited works of Ara, Raza, Hussain, Padamsi and Souza on chattai-clad walls of the gallery. R.K. Laxman exhibited his cartoons for the first time at Chetana Art Gallery. Subsequently when Jehangir Art Gallery became operative nearby, Artists began to switch over to the new gallery and Chetana Art Gallery had to close down. Since those early days of haunting memories, Chetana Pvt. Ltd has undergone many changes over the time and has come a long way, but has always retained its unique character and statement. Sudhakar Dikshit nurtured Chetana Pvt. Ltd. with the tenderest care, evolved it into a strong institution, and passed away in 1995 as a satisfied founder. His daughter, Mrs. Chhaya Arya, heads the Company as its Chairperson & Managing Director. Shortly before his death, Sudhakar Dikshit conceptualised Chetana Foundation, a charitable Trust, to encourage, sponsor and assist research in Sanskrit, as well as in Ancient Indian Thought, Philosophy, Arts, Crafts, Painting and Performing Arts, Sculpture, Music, and to aid deserving research projects and students. The Foundation has introduced a ‘Sudhakar Dikshit Scholarship’ for a top-ranking student at Mumbai University who would pursue research in Sanskrit at the Doctorate level. Chetana Pvt. Ltd. has throughout pursued a mission. Its mission is to add value to the life of Indians in India and abroad, to make them aware of India’s rich past and to inspire them to forge ahead to a still glorious future, to open up a treasure of knowledge – be it spiritual or traditional, and finally to help the Indians to understand the meaning of being an Indian. 1946: Chetana Book Centre became functional. 1947: Chetana Art Gallery, first regular art gallery in Bombay, opened. 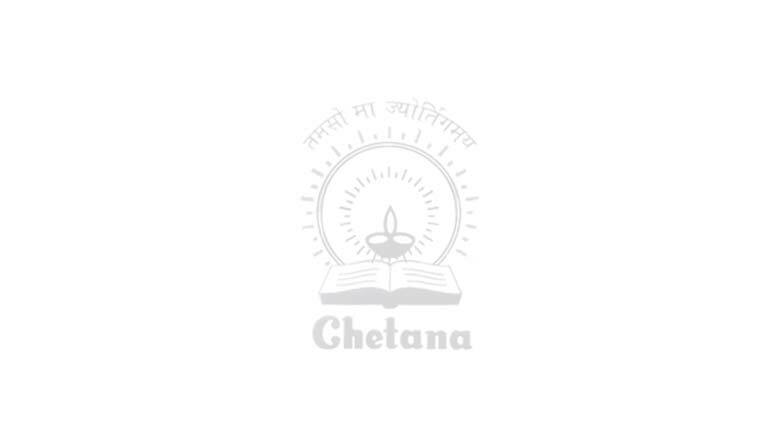 1947: Chetana Publishing Division commenced operation. 1976: Chetana Ltd. renamed as Chetana Pvt. Ltd.
1986: Chetana Art Gallery modernized and reopened for business. 1989: Chetana Art Gallery converted into Chetana Craft Centre. 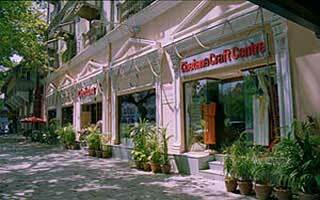 2001: Chetana Book Centre, Chetana Craft Centre and Chetana Veg. Restaurant rezoned, renovated and modernised.